SKU: EL-GFX-1. 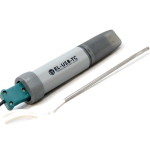 Category: Data Loggers. 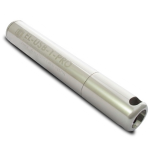 The EL-GFX-1 standalone USB data logger measures and stores up to 252,928 temperature readings over -35 to +80ºC (-31 to +176ºF) measurement ranges and at a resolution of 0.1ºC. Using the Windows control software available free, the user can easily set up the logger name, sample rate, alarm settings and start mode (immediate start, push to start, delayed start or temperature triggered start). This software can later be used to download the stored data which can be graphed, printed and exported to other applications. 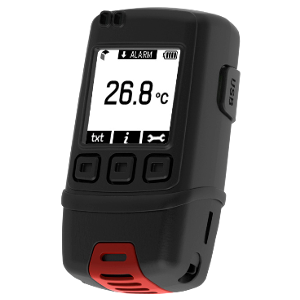 The data logger features a dot-matrix LCD and three face-buttons to navigate through an on screen menu. 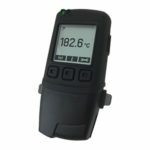 This menu provides the user with access to real time trend analysis, data summaries and the ability to start, stop and restart the data logger without the need to connect the data logger to the host-PC. Users can resent the maximum/minimum reading using the on screen menu. This introduces an “event marker” into the data which can later be viewed in the graphing software and data file after download. 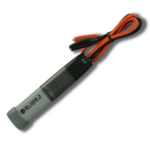 The data logger is supplied with two replaceable 1/2 AA batteries.